The general protections of the Fair Work Act provide (in theory if not in practice) some measure of protection to an employee who exercises a workplace right, for example let us say to insist upon being provided with a safe system of work. In the event that the employee suffers any adverse action such as demotion or dismissal because of that, the employee can launch a general protections claim in the Fair Work Commission alleging unlawful conduct by the employer. 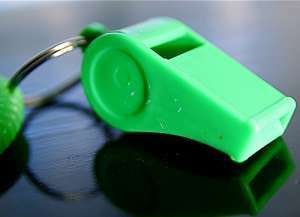 However, many instances of whistleblowing might not constitute the exercise of a workplace right, where for example the conduct complained of does not relate to the employment of the complainant himself or herself. Nevertheless legitimate whistleblowing which leads to a dismissal can be the basis of a strong case of unfair dismissal if the complaintant is otherwise protected from unfair dismissal. ‘“Whistleblowers” have an important role to play in our society, which deserves protection. No employee should face the risk of being dismissed merely because he or she makes a serious complaint of wrongdoing by a manager. Moreover, the mere fact that a complaint turns out to be wrong, by itself, should not lead to termination.’ Chrys Chrysostomou v Autohaus Classic BMW t/as Trivett Classic Pty Ltd  AIRC 869.